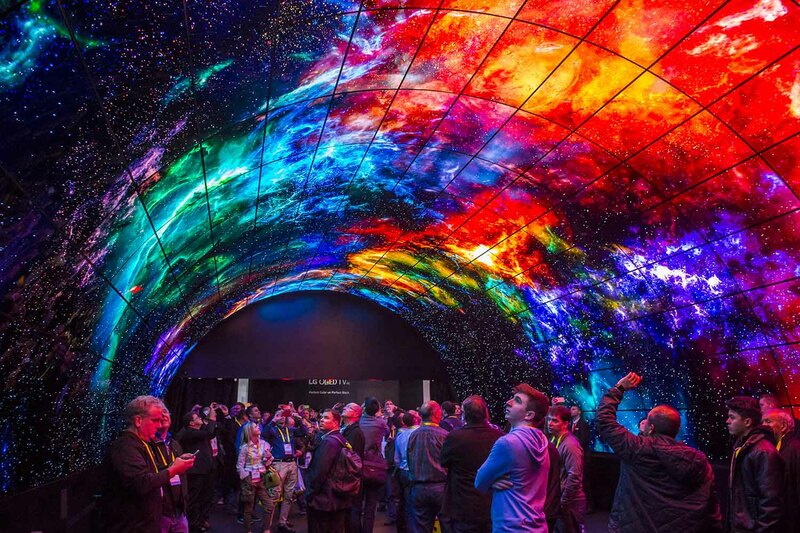 CES, one of the biggest events of the year for tech companies, is a time we expect to learn about new, exciting technology in the consumer space. This year, Apple has decided to take a different approach: targeting its competitors by calling into question their lack of accountability in regards to data collection. The request for federal laws concerning privacy have been a hot button issue: from emerging use-cases for facial recognition technology, to everyday consumer products. And now Apple is choosing to use CES at their platform to bring these issues to the forefront once again. CES, going on this week, is one of the largest events of the year for anyone in the consumer electronic industry. It was first held in 1967 in New York City, and is hosted by the Consumer Technology Association (CTA). The show features more than 4,5000 companies and boasts more than 180,000 attendees from around the world. Apple has never exhibited at CES before due to their tenuous relationship with CTA, and they are not officially exhibiting this year either. But despite not having an official booth at the big event, they are making a statement with a 13-story advertisement overlooking the convention center. This is a pretty bold move—throwing shade at companies like Google and Amazon who both have a big presence at CES 2019, as well as other tech companies who have made the news recently for their questionable use of personal information for advertising purposes. Tim Cook, Apple’s CEO, has stressed the issue of personal data collection and privacy recently. With the EU creating legislation to combat the misuse of personal information and unwelcome surveillance on the internet, he is pushing for US legislators to do the same. While there have been some statewide implementations of privacy laws, Cook and other tech leaders feel that this isn’t enough for how quickly technology is advancing. 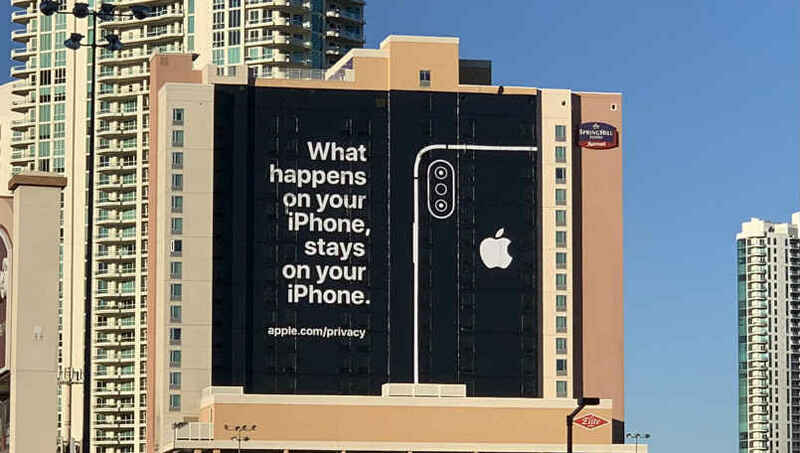 With their large-scale advertisement at CES, Apple’s message to consumers seems to be “You can trust us not to sell your data to show you ads...unlike those other companies.” Apple has stated in the past that they prefer to make their money from selling products and not from selling the information of their users. As iPhone sales have begun to slow down and with the HomePod lacking in popularity compared to Google Home and the Amazon Echo, it seems logical that this stance is being pushed not only for the betterment of privacy protection laws, but also as a selling point for Apple products in general.